Activities on holiday – Are you covered? Sport and activity holidays have become hugely popular over the last few years, as many people are travelling to practice their skills, or to learn a brand new sport. 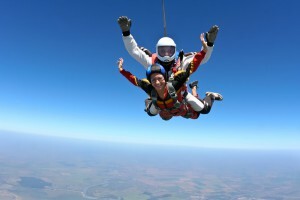 Many sports and activities, like skydiving and scuba diving, can be much cheaper to do abroad than in the UK. However despite all the dangers associated with extreme sports, insurance for dangerous activities abroad usually isn’t researched as carefully as it should be. 1. Medical treatment will be free in the country they are visiting, as it is in the UK. 2. That their cheap travel insurance will cover any and every sport or activity that they may decide to try while on holiday. 3. The activity company will pay for any injuries. • When purchasing travel insurance, always double check your policy wording to make sure you are covered for your chosen activity. If you aren’t, enquire if you can pay a small additional premium to add this cover to your policy. If you are brining or hiring equipment, you should also double check if this is covered. • When booking any activity always ensure you book through a reputable firm. Double check that they have all the relevant checks and measures in place so they are definitely safe and regulated. Always do plenty of research before handing over any money. For the best activity travel insurance visit Holidaysafe.co.uk.